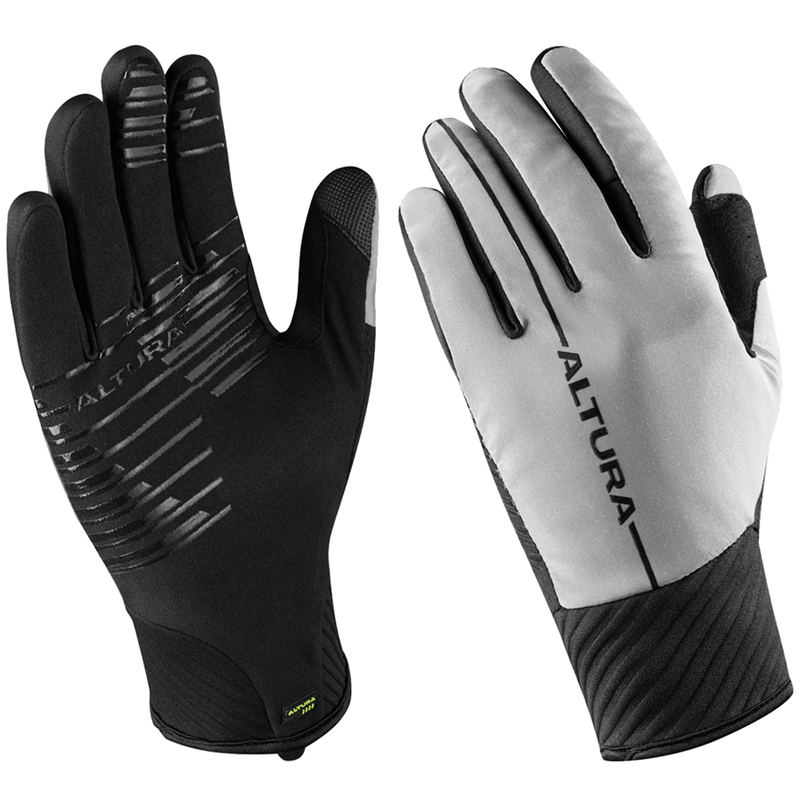 The Altura Thermo Elite cycling gloves are a great option for your daily cycle commute or for when you’re training in low light conditions thanks to their Altura Darkproof® outer which offers superior levels of reflectivity and helps to make you much more visible to other road users when riding in poor light or total darkness. Made from Altura Shield fabric engineered to provide protection from wind and water while still remaining breathable these brilliantly functional winter cycling gloves also include an Altura Thermo thermosuede fabric inner that delivers body warming insulation to keep your hands warm, dry and comfortable. With a long cuff extension to prevent any unwanted gaps and exposed skin and a silicone print grip on the palm to enhance your grip on the handle bars these Altura Thermo Elite cycling gloves are the perfect choice for cold weather cycling. Great gloves good fit and warm. Shame the manufacturer have stopped making them else I would have bought a pair for my daughter.